A computer scientist experimenting with artificial intelligence, Dr. Adam Notting (Anthony Howell) has taught his pet project BEAST to compose poetry. 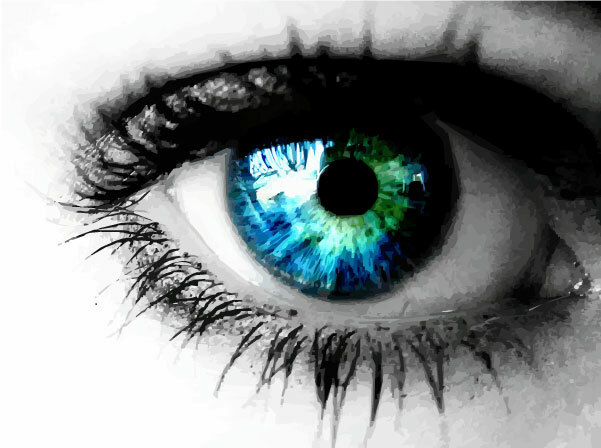 But when Dorian arrives, BEAST…and Notting himself, for that matter, are nowhere to be found…and BEAUTY is. Roy Gill works up an unusually modern mystery, all too appropriate for a digital age marked by social anxiety and retreat into ever more hermetic individual fantasy worlds, where ostensible “connections” are formed and regulated mainly by the keyboard and mobile device. Is Freya all that she seems? And what is she so terrified of, out there in the snowy wastes? An appropriately atmospheric bit of wintry claustrophobia, author Sam Stone pulls a bit of mythos into a spooky take on the siege setup, complete with some ancient rivalries to be addressed. What is the disturbing secret of Dr. Madras (Raj Ghatak)? What exactly is the Asclepius Project? And how is Dorian ultimately responsible? Author James Goss pulls Dorian headlong into Cronenborgian body horror, but with a touch of Halloween II/X-Ray style hospital slasher atmospherics. Another unusual setting to match that of the earlier Gill tale, but it certainly works for what it’s trying to evoke. George Mann keeps things atmospheric, with a hint of Holmesian gaslight mystery to the otherwise Agatha Christie-era proceedings. Then Xanna Eve Chown brings us to the shores of Ireland for a tale of a gambling inheritance which comes with an unexpected catch or two. Bruno Langley offers a believably blinkered uppercrust twit as Mardling, and the setting provides a welcome and somewhat isolated touch of frisson for the titular spectral presence. While it’s perfectly obvious that author David Llewellyn is using the ancient creature buried deep beneath the Aegean as a metaphor and parallel to the character dynamics taking place herein, the simple fact is that Dorian’s rather dicey relationship with his bristly beau makes this one a bit of a tough pill to swallow, particularly after the four far more relatable and entertaining offerings preceding. This time around, he finds himself with a pair of slashed tires and forced to spend a snowy evening’s repose in a rented car, to the accompaniment of the greatest hits of Julio Iglesias…what fate could possibly be worse? Why do the locals spit at the very passing of Dorian’s new friend? And is this entire episode morphing into A Decadent Werewolf in Iceland? Another nicely moody and claustrophobic piece courtesy of a Mark B. Oliver, “Inner Darkness” pushes Dorian into the borders of a rather Grimm fairy tale. Can the promise of a very ordinary life sway Dorian away from his world of parties, cocktails and sweet young things of all stripe? Something of an old trope in fable and fiction, Matt Fitton trots out the old adage of the grass being greener on the other side of the fence, but in all objectivity, who would be mad enough to trade Dorian’s lifestyle, however mad and tedious in its nigh-immortality, for the horrors of corporate life and the dubious charms of suburban child rearing? Not this author, that’s to be sure. Also included in the download, though not part of the season proper, was Scott Handcock’s brief Halloween special, “Trick or Treat”, which episode is still available as a standalone free download for those interested. 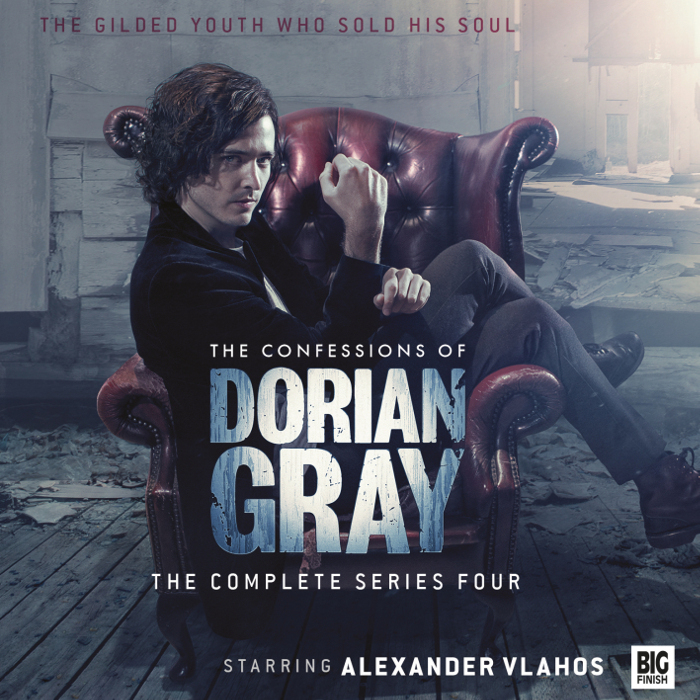 Vlahos’ Grey has lost none of his Decadent charm or air of suave insinuation, his warm, oversmoked tones always a pleasure to the ear. Keeping things firmly in the realm of horror and mystery rather than the somewhat Romantic antihero adventurer mold into which the character had been thrust for a season or two, this season retains the best elements thereof while playing in a more solid and familiar territory for the character. Well worth the time of any fan of Wilde, the Decadents or the more mature end of gothic horror.